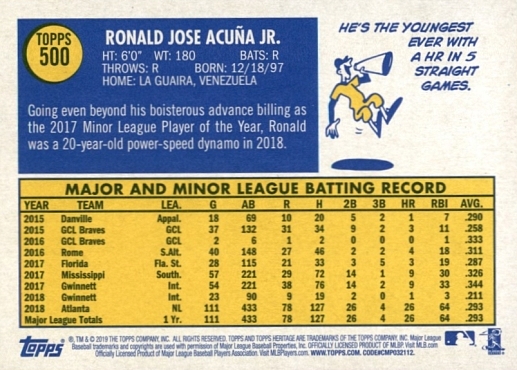 The Topps Heritage 2019 set of 500 cards is now part of the Baseball Card Cyber Museum. 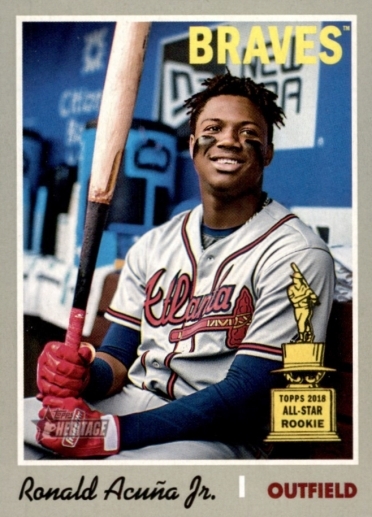 Topps Heritage 2019 pays homage to the classic, grey-bordered 1970 Topps set, and showcases current stars and debuting rookies. (121) James Norwood, Duane Underwood, Jr.